If you have never encountered ants in your house, office or school, count yourself among the lucky few. But, if you’re like most people, you’ve fought your fair share of battles against these annoying pests ants – whether it’s a nest of garden ants in your garage or a parade of black house ants marching across your kitchen counter. Below, we offer you some simple steps about ant control that homeowners can take to reduce the chances of unintentionally inviting ants into their home or business and/or getting rid of ants. It’s probably not surprising to hear that ants most frequently infest kitchens. After all, kitchens are full of food and water, everything ants (as well as all other pests) need to survive. Bathrooms, bedrooms, living rooms, basements, inside walls, and in/around air conditioning and heating units are also known to attract ants. Reducing moisture and standing water around your home can go a long way to help prevent ants. 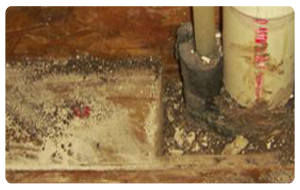 Repair leaky pipes, and routinely check under sinks for areas of moisture. Consider using a dehumidifier in damp basements, crawl spaces or attics. Outside, ensure that downspouts and gutters are functioning properly so that water flows away from the home’s foundation and ants are not attracted. Keeping your kitchen tidy will help to discourage ants from coming indoors. Wipe down counters and sweep floors regularly to eliminate crumbs and residue from spills. Store food in sealed pest-proof containers, and keep ripe fruit in the refrigerator. Wipe down sticky jars, especially any containing honey, syrup, soda or other sweets. Finally, use a lid on rubbish bins and dispose of garbage regularly. 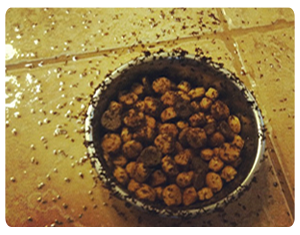 Cats, dogs and other pets can inadvertently invite ants into your home. Their food and water bowls are an attractant for ants and pests, so be sure to keep pet bowls clean and clean up any spilled food or water promptly. Opt to store dry pet food in a sealed plastic container rather than the paper or plastic bags they often come in, which can be easily accessed by ants and other pests. Inspect dog/cat doors to ensure that ants and pests cannot get through. Remember that ants can fit through even the tiniest openings. Take time to inspect the outside of your home for easy access points for ants. Trees and bushes should be trimmed away from the home, as branches can provide highways indoors for ants. Seal any cracks and crevices on the outside of the home with silicone caulk, paying special attention to areas where utility pipes enter. 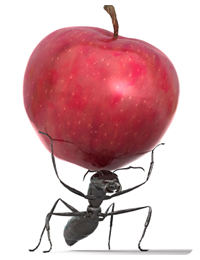 Without the proper training and tools, battling ants can be an uphill battle. 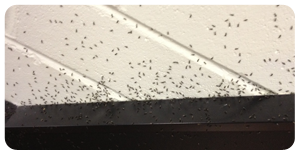 What’s worse, an infestation can continue to grow if it is not properly treated. 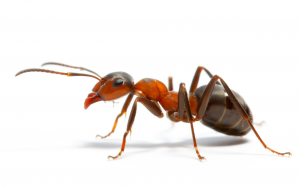 Some species of ants can cause serious property damage (like carpenter ants) and others (like fire ants) can pose health threats to your family. 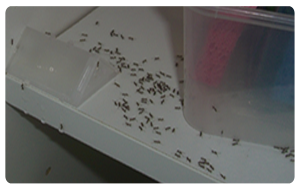 Even species that are considered nuisance pests (like common black house ants) can contaminate food. 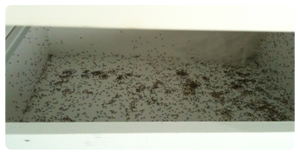 So if you do find ants in your home or business, call us right away for an ant pest control treatment. We will be able to identify the ant species, spot likely entry points, and determine an effective course of ant pest control treatment with products that are safe for your family, pets and the environment. As usual hope this helps, leave a comment or questions, you can even propose a topic for my blog.